Cube: Use your digital photographs to make a unique art object! 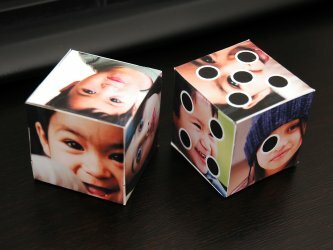 Use your digital photographs to make a unique art object or personalized dice! Just choose up to six photos and follow the simple printing and folding instructions. Amaze your friends with your digital-photo-crafting-kung-fu! 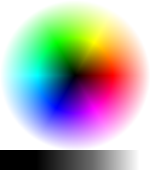 Choose up to six images you want to use (empty faces will be replaced with a hip, random color).